The recent decision of the Full Court of the Federal Court in the matter of WorkPac v Skene1 creates an enormous challenge for Australian businesses, and has led to fears of significant liabilities for the back payment of wages arising from the engagement of casual employees. In this matter the Full Court of the Federal Court held that a labour hire casual who worked regular and predictable hours was a permanent employee at law and was therefore entitled to paid annual leave, and other permanent employment rights, despite WorkPac paying him as a casual. The Full Court determined that when considering the proper nature of a casual employee’s engagement an objective assessment needs to be undertaken. While a valid Casual Contract of Employment would go to identifying the intentions of the employee and employer at the commencement of the employment relationship, the Full Court importantly held that the provision of an agreed and continuous pattern of work can demonstrate a contrary intention to that contained within the employment contract, and in certain circumstances give rise to a permanent employment relationship. The Full Bench ruled that Mr Skene was entitled to $21,000 in compensation plus interest of $6700 for accrued annual leave under the National Employment Standards (NES). Significantly, the Federal Court has also set the matter down for consideration of the pecuniary penalties which would be imposed in this matter for the failure of WorkPac to pay Mr Skene permanent employment entitlements. This decision has resulted in understandable concern from employers engaging casual employees who fear it may result in a significant volume of claims from employees challenging the status of their engagement and seeking the back payment of permanent employment entitlements such as annual leave, redundancy and notice of termination. With employees having 6 years in which to raise a claim, the decision provides both current and former employees with an opportunity to pursue a claim of this type. It is important to note that the decision does not require employers to begin back paying current casual employees nor does it mean that all casuals are now entitled to annual or personal leave. For casual employees who work a consistent number of hours each week, with little or no variation in the days worked or start and finish times, the risk is significant. At the other end of the scale, casuals who work irregular hours, with changes in the number of hours and times when those hours are worked, there is very little risk of deemed permanent employment. A large proportion of casual employees are, however, somewhere in between the two extremes. With a recent announcement that casual employees in the mining industry commencing a class action against a mining company, and one of Australia’s leading labour hire companies, concerning the misclassification of workers engaged as casuals, this issue is likely to escalate. Given the serious ramifications arising from this decision many leading business and employer groups have called upon the Government to legislate to remove any ambiguity which may exist with the engagement of casual employees and avoid employees effectively “double dipping”. It is widely predicted that this matter will be the subject of a High Court appeal, however as yet an appeal process has not been initiated. Unless (or until) a High Court appeal is lodged and determined, the decision stands as law, and businesses need to review their own casual engagement model and take steps to quantify the potential risk and implement measured to minimise risk. Fitness Australia will continue to review and update members accordingly in relation to this matter, however, until that time members are strongly encouraged to contact the HR Hotline on 1300 211 311 for guidance upon this decision and what steps can be taken to minimise the risk to your business. Being a Sole Trader, business member or AusREP of Fitness Australia means that you have access to a complimentary 30-minute fitness business coaching session with our partners NPE Coaching (valued at $150). Come away with new insights you can apply right now. You don’t have to waste your valuable time and energy trying to figure everything out on your own. Get the answers you need by speaking with an experienced fitness business coach who will help fast-track your journey in growing your business and creating the life you want. 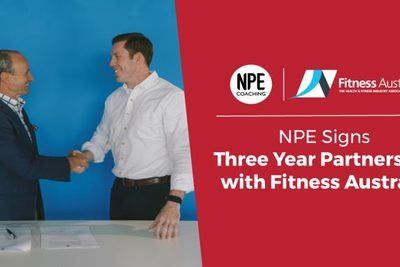 Head on over and discover the next steps forward (no matter what stage of fitness professional growth you’re in) with a complimentary 30-minute coaching session with an NPE success coach. Fitness Australia's look has evolved! We have exciting news to share today, Fitness Australia has a new look! Today, we take a fresh step forward with a new identity for Fitness Australia, our members and our industry. As we continue to evolve, expand our focus, and update products, services and experiences, we want our brand to best reflect why we exist, what we believe in, and where we’re headed. Here at Fitness Australia, we professionalise exercise. We live and breathe it. We’re a passionate and dynamic industry, and we’re also an industry that prides itself on being professional. That’s where Fitness Australia come in. We want to help everyone in this great industry of ours to always be better. Both on a national and international stage, Fitness Australia represents not only those who are registrants and members of ours, but the entire Australian Fitness Industry. This includes working with Government on a local, state and federal level for best outcomes, responding to and providing information to media as the go-to credible source, and forming international alliances to learn and grow our industry on home soil. The Australian Register of Exercise Professionals ensures that those who have the skills and qualifications to deliver safe and effective exercise services to the Australian community are registered to practice. Not only does this provide credibility to those on it, it also provides a level of assurance and confidence for consumers, employers and health professionals. We know it’s not always exciting, but for any professional industry, standards and guidelines are super important. We develop these using evidence-based research and best practice, and often work with other professional bodies. This means that trainers, instructors and fitness business owners have the resources that allow them to work safely and provide a high quality of service. Being professional means continually updating your knowledge and skills. We facilitate this through the continuing education system, which promotes ongoing learning for all Registered Exercise Professionals, and events and seminars for our business owners. We’re here to professionalise exercise. Let’s do it together. Available exclusively to those registered with Fitness Australia, the app gives PTs the freedom to run their business from their pocket - take bookings, track income, connect with clients and generate new leads. Your registration profile is pre-loaded and ready to go – just download and login to activate. Communicate using two-way in–app messaging and push notifications. Do in-app client pre-exercise screening. Set your weekly schedule in the customisable calendar. No download cost, no monthly fee, only a small 5.25% fee per booking. Add your training locations and set your rates for clients to book in. “We’re taking the guess-work out of choosing the right PT, with all profiles on the Australian Register of Exercise Professionals pre-populated in Worket to showcase Trainer credentials and areas of specialisation,” explains Moore. Worket is available to download for iOS from the App Store and coming soon for Android. PTs can now take bookings, connect with clients and be found by new ones through Worket! 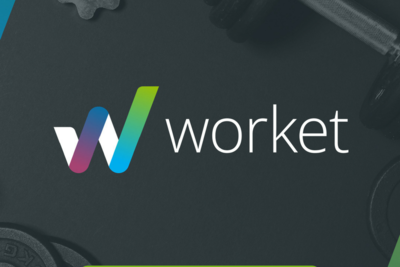 Learn more about Worket or Install Worket now. Global Fitness Business Coaching Company, NPE, signs exclusive three year partnership with Fitness Australia, the peak health and fitness Association with over 25,000 Registered Personal Trainers, Fitness Instructors, Fitness Businesses and Suppliers Australia-wide. The NPE partnership with Fitness Australia adds significant value to Fitness Australia’s existing database of members who are wanting to learn how to better grow their fitness business in addition to the support offered by Fitness Australia. NPE team members are experts in helping fitness businesses get started, grow and scale for success having helped over 36,000 fitness businesses in 96 countries via online training courses, workshops, and one-on-one business coaching. NPE CEO Sean Greeley has been helping fitness businesses for over 11 years and recognises the overwhelming list of challenges fitness businesses face in an increasing competitive market. Greeley acknowledges running a business in Australia isn’t as simple as registering for GST or remembering to pay taxes on time. “Most PTs in Australia fail to make it pass one and a half to two years in the industry, as they burn out and fail as business people. Another trend we see is existing businesses reaching a point where they plateau or get stuck and this is where NPE can help make a difference. My team and I are passionate about coaching people to success in business and providing them with the necessary professional development.” said Greeley. “I think there’s a lot of really enthusiastic Personal Trainers and Fitness Business Owners in Australia who really want the best for everybody, they’re not driven by ego, they’re driven by wanting to serve and make a difference in the market. They’re committed to their own growth and development to become a better business owner, so they can in turn help more people, not just for their own personal gain and I love the values and the passion that I see in those business owners in Australia,” said NPE CEO Sean Greeley. “However, we often meet clients who are still running their fitness business like it’s a backyard business and they need to learn professional business management skill sets and systems to be able to grow beyond what they can personally handle with clients and maybe one or two staff. Taking the next step, means having a new level of commitment and investing in professional development and education.” said Greeley. The NPE partnership with Fitness Australia will include a number of initiatives, including; CEC approved business courses, including a newly relaunched popular sales course ‘The AUTO-CLOSER® Sales System.’ NPE will also be hosting a National Road Show in all major metro markets kicking off in June 2018 to increase the face to face time with Fitness Australia members and inviting new clients to local one day workshops. “NPE is a long-time supporter of Fitness Australia. Now we’re taking our relationship to the next level by giving Fitness Australia members access to NPE’s expertise and tools. These will take the form of eBooks, business workshops, and online advice," says Bill Moore, CEO of Fitness Australia. NPE will also be presenting at Filex this year (Saturday and Sunday, 21-22 April), inviting Fitness Australia members to attend workshops and information sessions. Jo Russell, at the helm of the Re-Creation Health Club brand, has been inducted into the Fitness Industry Roll of Honour. 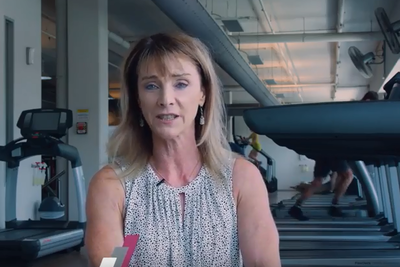 “The Fitness Industry Roll of Honour recognises the contribution that people like Jo Russell have made to the fitness industry,” explains Bill Moore, CEO of Fitness Australia, the peak national fitness industry association. Jo’s passion for innovation and driving desire to do things differently has made Re-Creation one of the countries most interesting and cutting edge independent clubs. Jo is a self-confessed ideas person with a restless spirit to always look for the next interesting thing be it big or small. This has made Re-Creation an industry leader carving a way forward and influencing the landscape of the early fitness industry in Australia. “We had a blank canvas to work on where there were really no rules and where everything was new and exciting. That is a once in a lifetime, never to return opportunity. It’s easy to be a trail blazer when there are no trails”. Jo still teaches Fit Classes, Spin, Abs and loves working out. She is well remembered as a Step Reebok and Results presenter and was Fitness Leader of the Year in 1992. Hear from others who've been inducted into the FItness Industry Roll of Honour. In a statement released by the NSW Department of Fair Trading on the number of contractual complaints they received by Gym users in 2017, they reminded consumers that signing up to a Fitness Australia affiliated Gym is the way to go. “We work closely with our business members who strive for a high standard of customer care, safety and service,” says Moore. Members of Fitness Australia have made a commitment to industry’s key business principles and standards. Fitness Australia’s commitment to the fitness industry includes developing guidelines and safety standards through consultation with experts which in turn are delivered as quality education programs for business accreditation, putting client safety first. “We will continue to work with the State based Departments of Fair Trading to see how we can contribute to reducing complaints about gym contracts,” reassures Moore. FILEX 2018 (12 CECs) Early Bird ticket rates now open! With savings of up to $150 for AusREPs and Members. "I'm so excited to say that FILEX 2018 early bird tickets are now on sale, and that Fitness Australia members and AusREPs can save up to $150," announces Bill Moore, CEO of Fitness Australia, the peak fitness industry association. "This convention has so much to learning, networking and energy to offer- you'll be leaving with a buzz that'll keep you motivated all year." "I'll be there, so come up and say G'day, I look forward to seeing you." 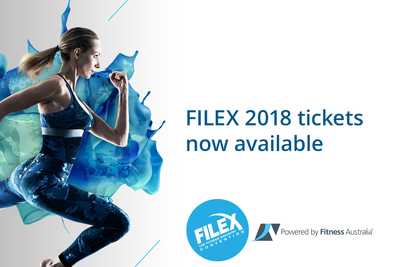 FILEX 2018, 19-22 April at the ICC Sydney is set to be a blockbuster event. 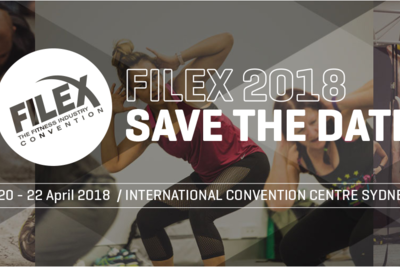 FILEX caters to the educational and networking needs of fitness professionals and fitness business owners and managers, by providing hundreds of educational sessions, which are delivered over the four-day convention. It's an annual opportunity for those who work in the fitness industry to learn from the world’s leading experts and operators in areas such as personal training, exercise science, nutrition, physiotherapy, sales and business, special populations, group fitness, sports and strength conditioning, yoga and mind body, and lots more! Early bird rates are only open until 5th January 2018. In an historic moment for the fitness industry, a Fitness Australia-led joint venture has acquired Australia’s premier fitness education event – FILEX. Bill Moore CEO of Fitness Australia, the peak fitness industry association, shares his excitement around this announcement. “The annual four-day education convention is the largest of its kind in the southern hemisphere, bringing together over 2,000 fitness industry personnel to explore the latest concepts, get practical inspiration and network with like-minded people,” says Moore. “The flow on effect from the high quality of continuing education will make a difference to the health and wellbeing of people of all ages around the country." FILEX Holdings is made up of Fitness Australia and four other parties who have invested equally to give the peak national body equity in the premier Australian fitness education event. This will keep the FILEX Convention owned and run by Australians for the Australian Fitness Industry who are dedicated to delivering the FILEX Convention well into the future. Game-changers Jacinta McDonell, Justin McDonell, Richard Piel are inducted for bringing Anytime Fitness 24/7 business model to Australia. The Fitness Industry Roll of Honour gives national recognition to people who are described as 'game-changers' - those who have made an enduring contribution to make the fitness industry what it is today. 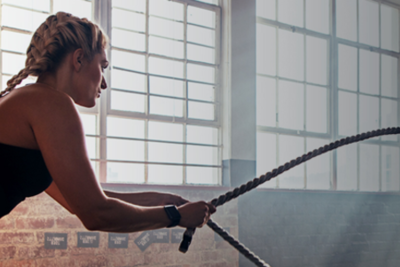 Jacinta McDonell, Justin McDonell and Richard Piel launched Anytime Fitness in Australia in 2008, bringing the successful franchise from the US and introducing the 24/7 unsupervised fitness centre business model to the country. "These three inductees in particular are people who've displayed vision and entrepreneurial flair and have successfully used these attributes to create and introduce new concepts and services into the Australian fitness industry, thereby changing the very nature of the fitness industry." 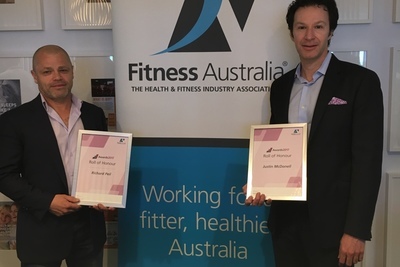 "Fitness Australia takes much pride in acknowledging and celebrating the major milestones in fitness industry history, especially the contribution of long term growth and prosperity as an important part of Australia's culture." Jacinta, Justin and Richard now join the likes of Michelle Bridges, Lorna Jane Clarkson, Susan Kingsmill, Tony de Leede, Dianna Williams and several others who are considered fitness industry royalty on the Fitness Industry Roll of Honour. Take a look at previous Awards of Honour recipients. Belinda Nelson has achieved the fitness industry’s highest personal trainers’ honour, Fitness Australia’s National #ActiveAchievers Award, for her work with client Donna Egglestone who lives with Post Traumatic Stress Disorder (PTSD) and Arthritis. Donna Egglestone, who nominated Belinda for this Award, lives with PTSD says she’d like to see a shift in the way society views mental health. Belinda explains that in the last 12 months she’s supported Donna in achieving not only her health goals but also her personal exercise goals. Donna ran her first full marathon, returned her weight to a normal healthy range and significantly increased her muscle and strength, something that is important with her forms of arthritis. She also competed for Australia at the World Masters where she finished with a Bronze medal and shortly after won the Victorian title for W40+ 400m hurdles. These are things that Donna wouldn’t have considered before she started training with Belinda. #ActiveAchievers recognises the outstanding work that fitness trainers and instructors do to help their communities live a more active, healthy lifestyle. "As the peak industry association we exist to empower our AusREPs to engage more people in exercise for better quality of life - this is a perfect example of that - which makes us extremely proud of the life-changing work being done all over the country each day," says Moore. More on Belinda and Donna's story to come. Want to upskill with a course on mental health or arthritis? Visit the CEC Directory now. So you've identified a client who needs to be referred to a medical or allied health professional? Use our Exercise Referral Kit to give you the skills and confidence to get it right. Kellie Handford, a returning fitness student, has won our 2017 National #ActiveStudents Award for being a stand-out student whose work with War Veterans is making her community stronger. Bill Moore, CEO of Fitness Australia, the peak industry association, said "Kellie has shown her commitment to her profession by returning to upgrade her qualifications. Her dedication to her group of War Veterans and their wives, in particular shows us that she cares about her community, and wants to build the health of her clients as well as their social interaction for better health." Kellie Handford of BodyWorx Fitness says, "I love that my Veterans feel valued and part of the community. To be able to then send them off and see them socialise together, which they otherwise wouldn't have done, makes me extremely happy. It builds strength in our community." "By the end of the day when they are on a high, they are able to communicate alot better, and it doesn't just apply to the men, I have ex-Defence force wives here as well." With over 100 nominations in Fitness Australia's #ActiveStudents Award category, this Award aims to recognise students who have demonstrated outstanding effort, commitment, and academic achievement while undertaking their fitness qualification. "As the peak industry association we exist to empower our industry professionals to engage more people in exercise - this is a perfect example of that - which makes us extremely proud of the life-changing work being done all over the country each day," says Moore. Delinah Rahmate Fit Dimensions Education explains why she was happy for her student Kellie to be nominated. "Kellie came to us to upgrade her Certificate III in Fitness to the latest fitness training package and to undertake her Certificate IV in Personal Training." "She's just a stand-out student and a stand-out person, with a really big heart," adds Rahmate. The 2017 Fitness Australia #ActiveStudents Award is proudly sponsored by Net Profit Explosion, a leading fitness business coaching company for business. 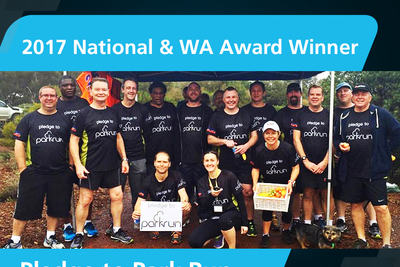 Western Australia's Goldfields Oasis Recreational Centre Pledge to Park Run, an exercise program aimed at local Kalgoorlie miners, has won Fitness Australia's National #ActiveCommunities Award 2017. Western Australia's Goldfields Oasis Recreational Centre Pledge to Park Run, an exercise program aimed at local Kalgoorlie miners, has taken out Fitness Australia's National #ActiveCommunities Award 2017. Bill Moore, CEO of Fitness Australia, the peak industry association, said "Having middle-aged men, who are Kalgoorlie's most high risk demographic for health issues, participate in regular exercise through this program is a great achievement for this community." Goldfields Oasis Manager, Cheye Hill, emphasised their need to break down the social stigma of men being too "tough" to make their health and fitness a priority, as a key goal to the success of this initiative. "Our program offers Kalgoorlie-Boulder men, many of whom work long hours, the chance to attend free weekly fitness sessions and be educated on nutrition, lifestyle and mental health issues with the aim of improving their fitness and wellbeing, and their ultimate goal being a 5km Park Run circuit." "We provided a genuine solution to eliminate the social stigma and financial barriers to exercise that typically prevent men from joining an group exercise program, " says Hill. The Pledge to Park Run program started in 2015 and offered Kalgoorlie-Boulder men free weekly fitness sessions held by Goldfields Oasis. This initiative is endorsed by local community groups and mining companies, sending a positive message to the mining industry and workforce. With over 900 nominations in Fitness Australia's #ActiveCommunities Award category, this Award aims to celebrate the outstanding work that gyms, personal training businesses and clubs do to create active, healthier, happier communities. "As the peak industry association we exist to empower our members to engage more people in exercise - this is a perfect example of that - which makes us extremely proud of the life-changing work being done all over the country each day," says Moore. More to come about Goldfields Oasis' story. The 2017 Fitness Australia #ActiveCommunities Award is proudly sponsored by Physio-Control. The 9th Annual General Meeting of Fitness Australia Limited (the “Company”) will be held at the Holiday Inn Sydney Airport, O'Riordan Street & Bourke Road, Mascot NSW at 10.30am. A quorum for General Meetings of the Company is ten (10) Members. To receive and consider the Company’s Financial Report, the Directors’ Report and the Auditor’s Report for the year ended 30 June 2017. THAT Nexia Australia Chartered Accountants be re-appointed to the office of auditor of the Company. To confirm the election of directors to vacant positions on the Board of Directors. If you have any questions please call 1300 211 311 or email Renae DeVito. Fitness Australia have today provided clarity to the fitness industry by introducing guidelines for AusREPs to follow when giving nutrition advice to clients through the release of Nutrition Advice within Scope of Practice for AusREPs. For Fitness Australia CEO, Bill Moore, the introduction of the guidelines is an important step for the Fitness Industry in providing quality services to clients Australia-wide. “There’s currently an expectation among some consumers for fitness services to provide nutrition advice, particularly when it comes to weight management and dietary supplementation,” said Bill. As part of the guidelines, AusREPs are encouraged to provide basic healthy eating information and advice through the application of nationally endorsed nutritional standards and guidelines – in particular, the Australian Dietary Guidelines. 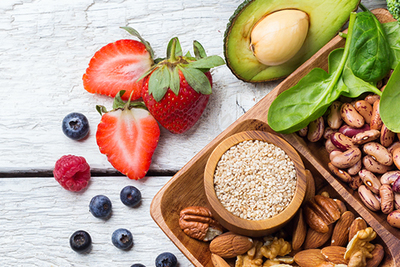 “Within the current scope of practice there’s ample opportunity for AusREPs to educate clients about nutrition and provide general healthy eating advice,” explains Bill. The Guidelines have been welcomed by both the DAA and SDA, who have acknowledged the need for collaboration between the Fitness Industry and Nutrition bodies. “This has been an important collaborative step forward for our industries, with experts in the field working together over the past two years,” said Claire Hewat, CEO of the Dietitians Association of Australia. Bev Friend, EO Sports Dietitians Australia adds, "This is an exciting step in the ongoing collaboration between the nutrition and fitness industries." "We welcome the clarity that these guidelines provide, allowing AusREPs the opportunity to support their clients with appropriate and meaningful nutrition information to meet their health and fitness goals, while at the same time further strengthening the partnership that exists between AusREPs and Accredited Sports Dietitians." Fitness Australia have today revealed the results from the recent Board of Directors election, with one fresh face set to serve, while one other member has been re-elected to their position. Newly-elected Board Member, Tony De Leede, will take his place at the peak industry association’s table for the first time following a successful campaign. His extensive industry experience more recently include an 8 year tenure as CEO of Fitness First and his current venture Fit n’ Fast. Existing member Justin McDonell, Co-Founder & Chairman of Anytime Fitness Australia and Collective Wellness Group, will be re-appointed to the Board of Directors. 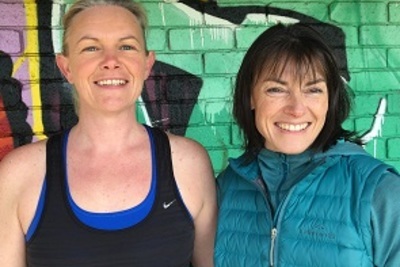 “They both commenced their careers in roles of fitness delivery to customers and clients, so come with a vast and deep knowledge of where we have been as an industry, and indeed where the industry is heading, ” says Allan. As the peak industry association, Fitness Australia relies heavily on the generous commitment of time, energy and expertise that our directors bring. “We’d like to pass our sincere thanks to Andrew Simmons, who will retire as a board member at the upcoming AGM in October. Andrew’s passion and vitality is a huge asset to himself, and has been to the Board and the Association,” adds Allan. David Allan goes on to emphasise the need for industry involvement. 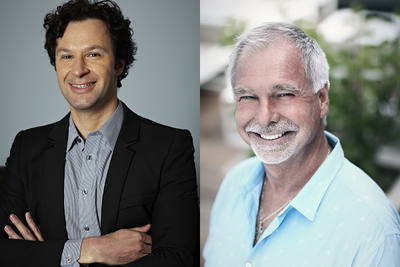 Both Justin McDonnell and Tony De Leede will take office as members of the Board of Directors for Fitness Australia at the AGM on 14th October this year. Fitness Australia announce the State and Territory winners and national finalists of the #ActiveAchievers, #ActiveCommunities & #ActiveStudents Awards. 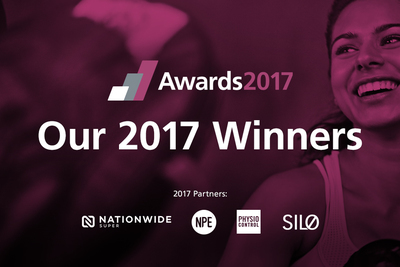 Fitness Australia CEO, Bill Moore applauds the efforts of our 2017 Award winners and finalists emphasising the enormous reach and depth we have as an industry. "Collectively our winners have had a positive impact on a wide range of people from war veterans and young kids to new mums and people recovering from cancer," explains Bill. "Our AusREPs are truly creating fitter, healthier communities every day." Following some 2200 nominations received across three categories, this year's awards program has exceeded expectations. Thank you to all clients, AusREPs, managers, owners and fitness students who shared their success stories. "The growing number of quality nominations is a testament to the connection that Trainers and Instructors make with their clients, and the life-changing journey they take together," says Bill. "I'm very proud to be announcing and recognising the significant work of our Award winners and finalists and look forward to hearing who will become our 2017 National Award winners." Fitness Australia looks forward to sharing the amazing stories of all winner and finalists with you in the coming weeks. Rewards Membership is now open, exclusive to AusREPs. Join Free today. 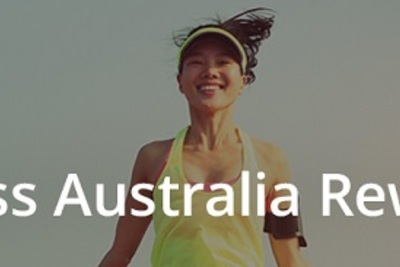 Being an AusREP means you can now join Fitness Australia as a Rewards Member. This is a brand new membership package that's exclusive to AusREPs. Rewards Membership is $0. Yes ZERO. We just want to give you more of what you need. exclusive offers for special occassions. Plus redeem Rewards points for further savings! We're excited about our new Rewards Membership so here's an exclusive offer from Lorna Jane till 31 August 2017. CEO Bill Moore explains the importance of being an AusREP on the official Australian Register of Exercise Professionals. 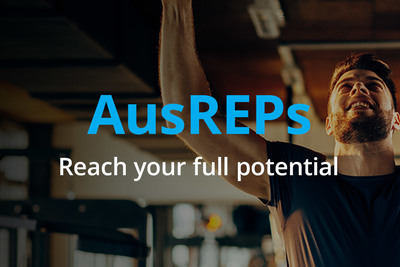 Registered Exercise Professionals with Fitness Australia will now be known as AusREPs. "This progression is in line with iCREPs, the International Confederation of Registers for Exercise Professionals," says Bill Moore CEO of Fitness Australia, the national peak industry association. 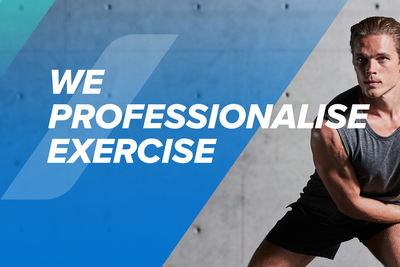 "We're proud to be administering the official Australian Register of Exercise Professionals and this name change for exercise professionals gives them the status and profile they deserve." AusREPs don't need to do anything, just be wary of the information and communications from Fitness Australia referring to them as an AusREP on the Australian Register of Exercise Professionals. "Being on the Register means that an AusREP is committed to best-practice, wants to continuously learn to improve their skills for a better career, and is seen as a dedicated, credible Trainer or Instructor." "I urge all fitness employers, clients, medical and allied health professionals to look for an AusREP on the official Register when looking for a Personal Trainer or Instructor. The AusREPs directory displays qualifications, delivery skills, CPR & First Aid certification and specific areas of continuing education lodged," explains Moore. "Looking towards 2020, Fitness Australia is continuing to grow and evolve to support this great industry of ours," says Moore. Be Proud. Be Credible. Be an AusREP. Voting for two new members of the Board of Directors is now open to Fitness Australia Business Members, until 18 August 2017. Click here to view all the candidate's profiles. Voting will close at 5:00pm on Friday 18 August 2017 (AEDT), please ensure you have lodged your vote prior to this time. Check your email inbox for the link to cast your vote.